Derby & Derbyshire Music Parnership | Music Mark Derbyshire Music Education Hub is a collaboration between key local and regional music organisations, led by the Derby & Derbyshire Music Partnership, working together to create joined up, high quality music education in and out of school. The two overriding aims of the Derbyshire Music Education Hub are to broaden and increase the opportunities for music-making for all children and young people in the city and county, regardless of their background or personal circumstances; and to raise the standards of music provision to the highest levels possible. 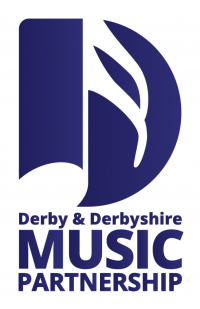 Derbyshire Music Education Hub is a collaboration between key local and regional music organisations, led by the Derby & Derbyshire Music Partnership, working together to create joined up, high quality music education in and out of school. The two overriding aims of the Derbyshire Music Education Hub are to broaden and increase the opportunities for music-making for all children and young people in the city and county, regardless of their background or personal circumstances; and to raise the standards of music provision to the highest levels possible.